Ok, next project! The idea for this arm rest came from my friend Kim Nicholas. 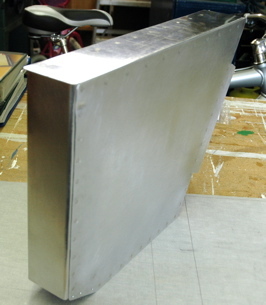 He built a nice wood arm rest for his RV9A and let me use it as a template. I decided to build mine out of aluminum and match it to the interior. I started by getting some U-Channel from Vans. 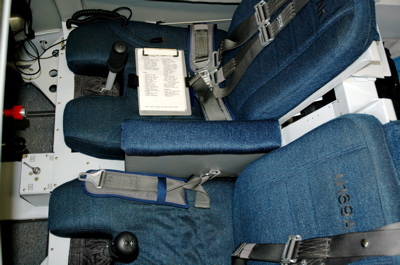 It's the same parts that are used to build the flap area between the seats. This way it's already just the right size to fit up against the flap housing. 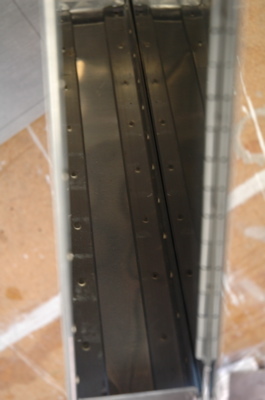 the U-Channel is .040 and I decided to make the sides and top from .040 also. I was able to get a 24"x24" section from Vans parts list which worked out just right. 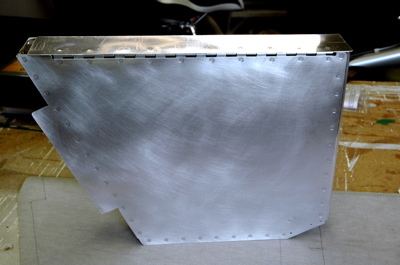 I used some .063 angle for the rear corners and flush riveted all of the parts together. 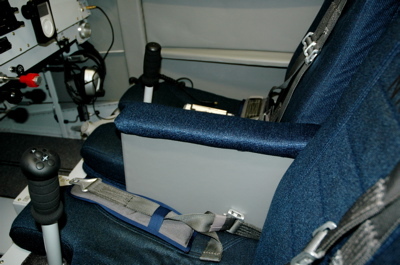 It simply sits in place and the side fingers overlap the flap channel to keep it centered between the seats. 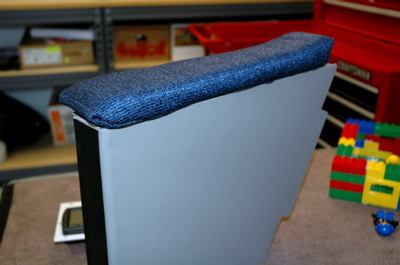 The height is a bit taller than the outside arm rests, but is perfect to rest your arm on while running the throttle. I put some Velcro on the top and front. The top holds on the arm pad and the front gives a mounting area for my flashlight, and pens by simply wraping the items you want to hold with Velcro. 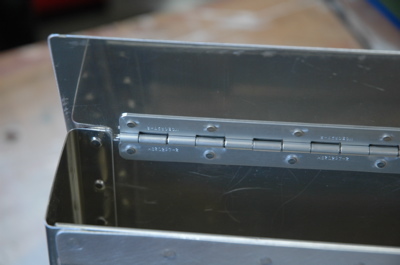 I used some .063 hinge on the lid to attach it. I cut a slot down about a 1/4" to make the top fit flush with it closed. 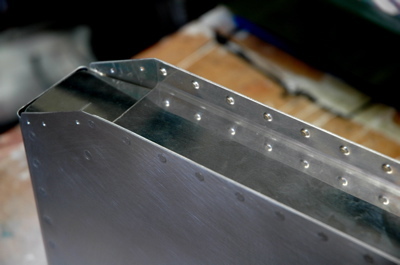 I inverted the bottom channel to make it easier to rivet from the outside. 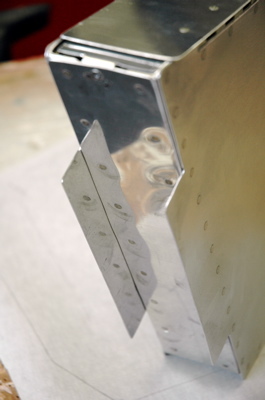 The box simply rests on those flanges against the tunnel cover between the seats.